Like most people, I have family that lives far away and I hate it, but I guess I understand. That being said, we have been able to be creative with mailing things and that is super fun for the kids. 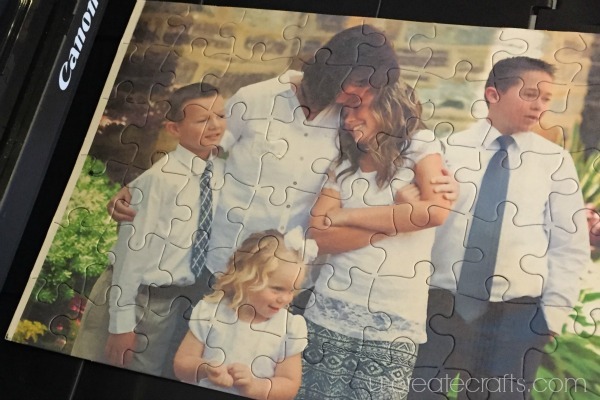 Check out what we are sending now: Photo Puzzles! You guys, these are the coolest things to DIY. So simple and adds a personal touch to a fun gift. Anyway, go through all your digital photos and pick one that will mean something to the recipient. Choose a photo that will jog a pleasant memory or ensight loud laughter! 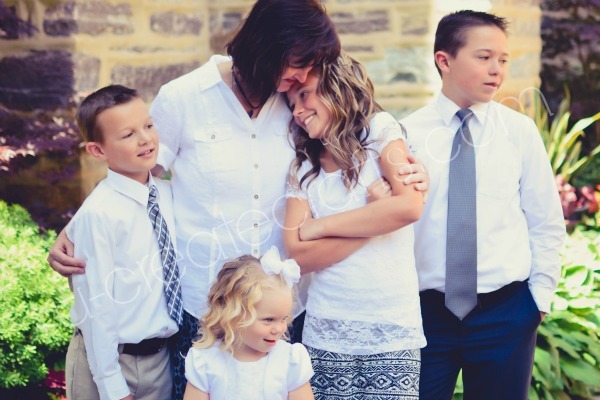 I choose a favorite picture of my mom with my nieces and nephews on a very special day. Here you will choose the size and what kind of photo printing you wish to do. 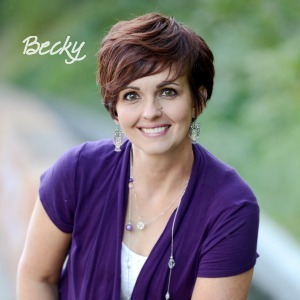 You can choose “photo on plain paper” or “photo on glossy paper.” I choose the glossy paper setting so the color would be as bright as if I printed a picture to frame. My blank puzzle is the size of a sheet of printer paper (US letter size), so I selected US Letter and borderless. 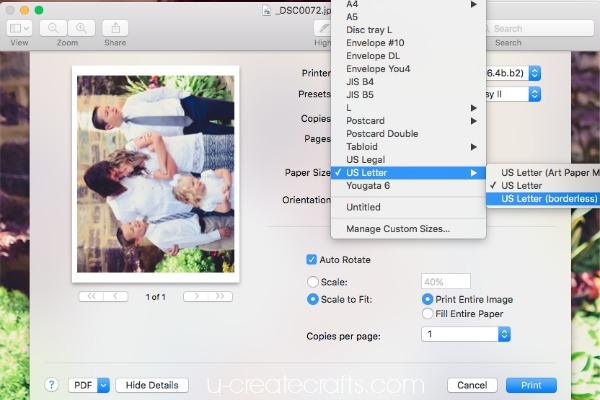 Selecting “borderless” ensures that your photo will print to all the edges and leave no white space. 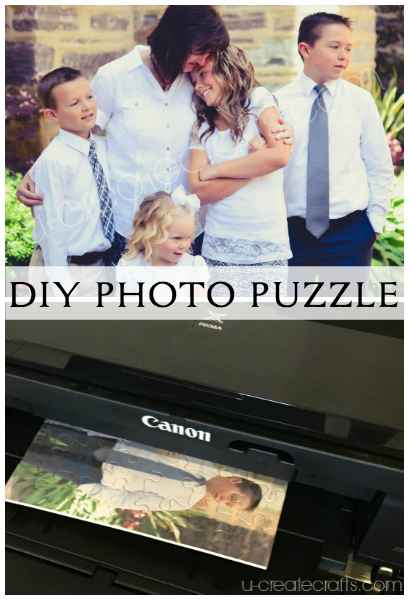 Insert the puzzle into the printer and send the photo to print. I watched it print the entire time to make sure nothing came apart of got jammed or something. (Truth: I have never printed on a puzzle before this; good thing it worked out) Everything turned out awesome! Take a sharp xacto knife and CAREFULLY cut the pieces apart. Most of them rip apart just fine, but some of them need help from the knife. 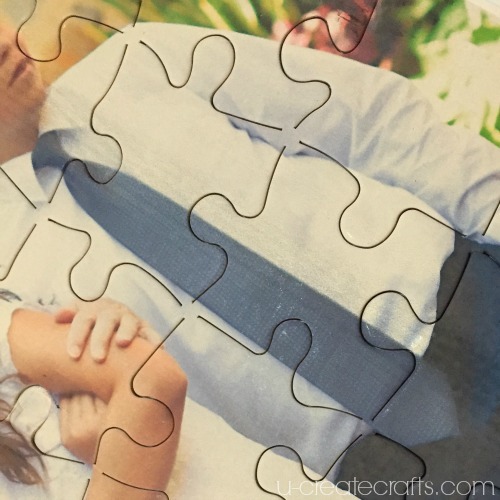 Print a small copy of the photo so the kids (and adults) have a guide when piecing the puzzle together. 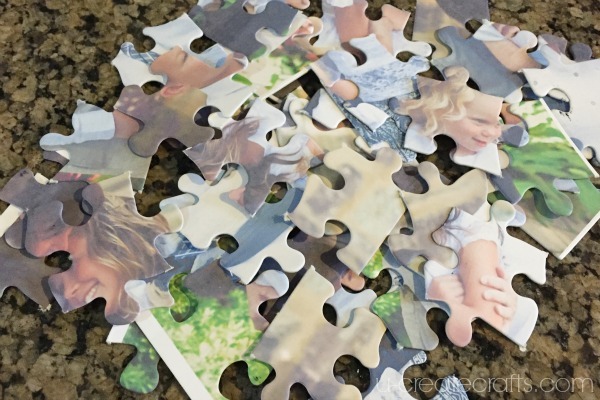 Put the photo and the puzzle pieces in an envelope with a little note and head to the post office! Wouldn’t it be fun to get this in the mail? Heck yes! Previous Post: Heart of Hearts Coloring Page or Printable! Next Post: Free Stuffed Animal Patterns – the cutest! I use the Canon Pixma printer and would not recommend this in just any printer 🙂 You could also go to your local printing shop!